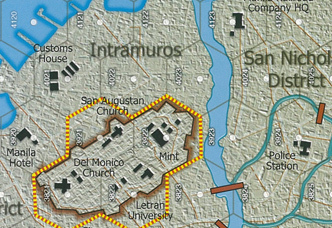 Original game components such as a map, units, and rules of the game are necessary to play this game. Clarification: The "3" on the US aircraft units it their game turn of arrival; the "10" is their combat factor. A thing to keep in mind about the range modifiers: it's not just about ballistics over distance. They also represent the difficulty inherent in coordinating such fires with closer-in units when operating in conjested, smoke-filled, built-up, urban terrain. "+1 Anti-Aircraft Fire" Don't forget, this applies only if the US is attacking with air strikes. Question: While I understand that the combat modifiers are cumulative, I didn't think the urban modifier was cumulative with the built-up modifier. I saw it as being in one hex (urban) or the other (built-up) and hence the modifier is either +1 or +2, but not +3 (for both). Did i miss a rule? Is terrain cumulative as well? 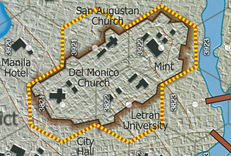 Answer: You are correct: "Urban" is one kind of terrain, which has its own fire modifier DRM; "Heavy Structure" is another kind terrain, which has its own fire modifier DRM. Question: Just a quick question to verify - Is airpower allowed to support a close assault combat? I'm thinking yes, but the close proximity of friendlies at this scale might make that dicey. Hard to bomb the enemy with your own troops crawling over the same rubble. Answer: The combat system in the game, though, presents that as part of the accumulation of fire power brought to bear against a hex over an entire, unitary, three-day period. In reality, though, at some time(s) during those three days, word goes out from the HQ handling the attack or close assault: "The planes are set to hit at 1400 hours. Everybody break off and fall back 100 meters at 1350." 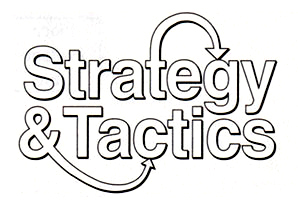 "-1 if half or more of the attack force comes from CAC units adjacent to the target." It doesn't seem right to loose this when you add air support. Shouldn't this only apply to the ground attack? Answer: A lot of this represents coordination issues. You have to choose between going in with close assault for the better die roll, or piling on more firepower to get the higher column. 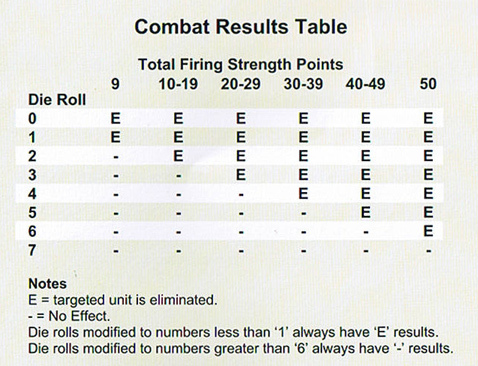 Question: "[10.13] If different units are firing at different ranges in the same offensive fire, the longest of those ranges applies to all the firing units in that combat." When you count the number of "the firing unit", and if US Air Support markers are also participated in the combat, should you include the number of air markers for "the firing unit" counting? Answer: When it comes to picking your range DRM: you pick one -- the one for the longest range involved in that combat -- and apply it. You do NOT use one range modifier for every range involved in that battle.